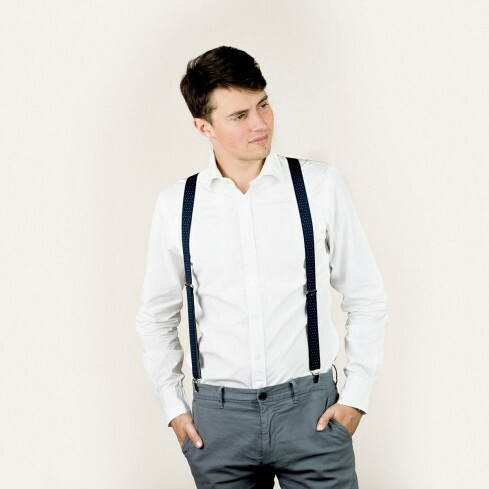 These braces/suspenders are perfect for a wedding outfit, office attire or everyday wear. Measuring 25 mm wide and 120 cm long, they’re the perfect twist – just eye-catching enough without stealing the limelight. 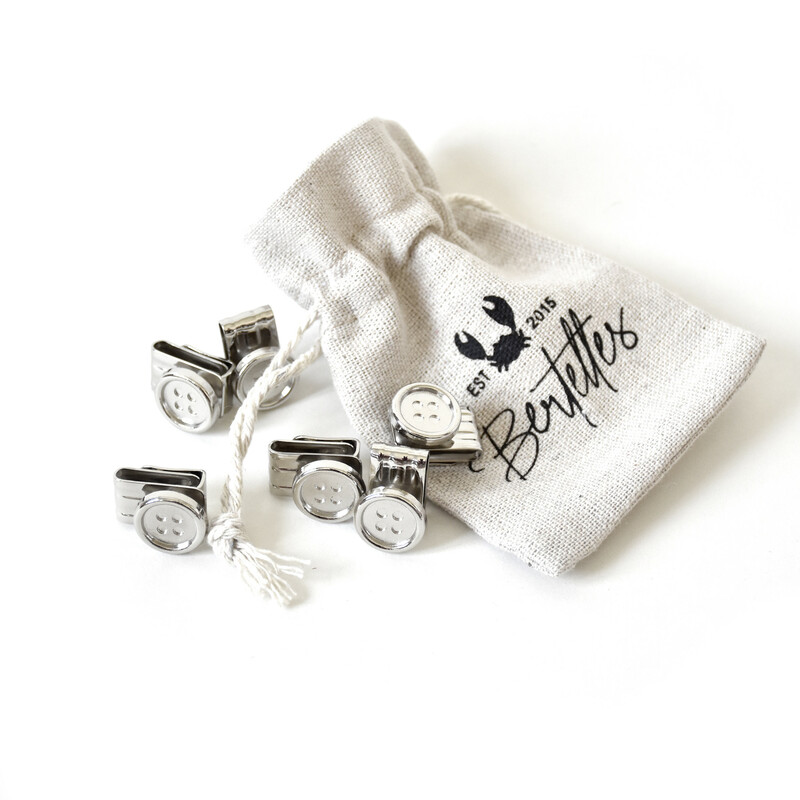 Made in Belgium, the attention to detail is striking – the clips that attach effortlessly to any style of trouser, the leather badge bearing the trademark Bertelles crab logo (famous since 2015!) and the contrasting navy elasticated back portion. In short, it’s details like these that make these braces/suspenders really stand out.